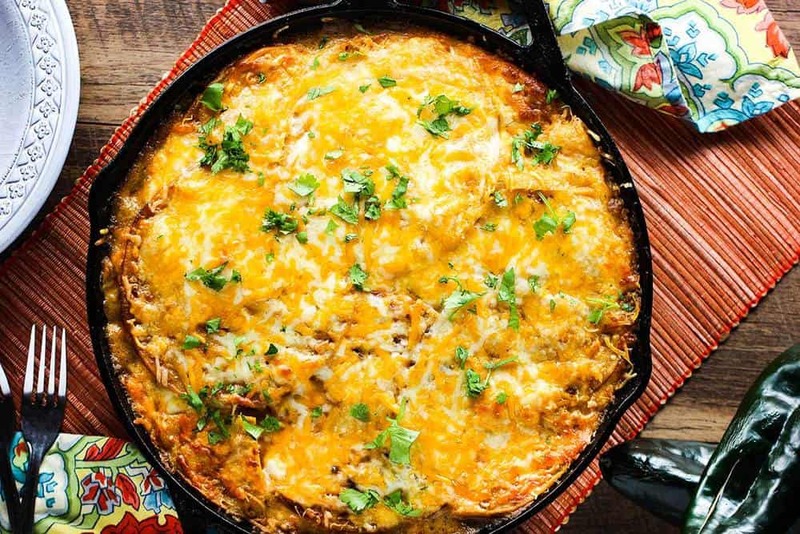 King Ranch Chicken Casserole is a Southern Texas staple dish. And with one bite, you’ll understand why. You’d be hard-pressed to find a church potluck, or bridal shower, or even a tailgating party in the Lone Star State that didn’t include this amazing dish. We love this version because we don’t include the typical canned condensed cream of chicken soups or processed cheese. This is the real deal. Texas-style. 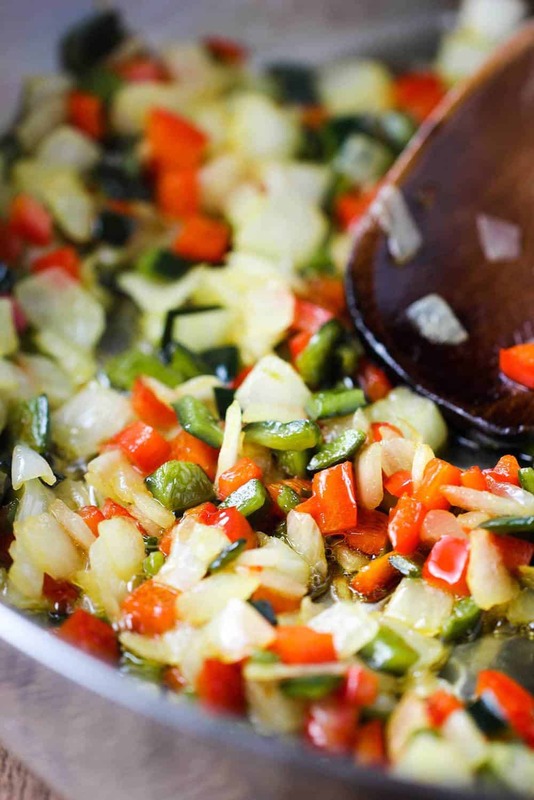 We start of by sautéing some of our favorite veggies in the world: Onion, red and green bell peppers, jalapeño and garlic. The dish is colorful and exploding with flavor. You’ll notice this just right away. Ro-tel is another Texas tradition. 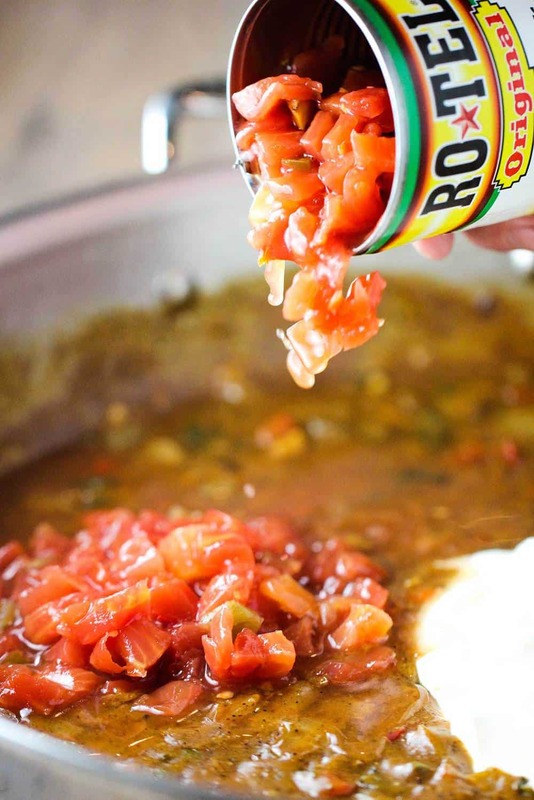 It’s a combination of tomatoes and green chiles and it’s hard to explain why, but there is just some extra special about a can of Ro-tel tomatoes. If you can’t find Ro-Tel, which is now widely available, you can use another brand of tomatoes and chilies, or order Ro-tel online. For the chicken, we love to roast chicken breasts, skin-on, and then shred the meat. You’ll need about 5 cups of cooked chicken. If you are pressed for time, 2 rotisserie chickens from the supermarket work very nicely, too. Mix the cooked chicken with the fresh cilantro. 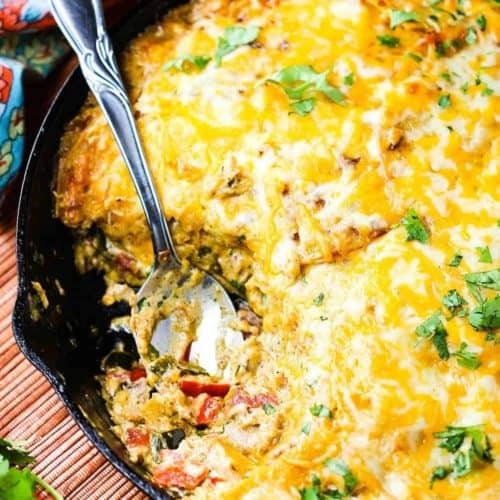 As you build the filling for this amazing King Ranch Chicken Casserole, you’ll be tempted to pull out a spoon and eat a bowl-full as is. Once again, we’re all about making the best dish possible, but sometimes you might be looking for a shortcut. We think quickly crisping up yellow corn tortillas in a non-stick skillet with a little oil is perfect for this King Ranch Chicken Casserole. But, we have also found that roughly broken up corn tortilla chips work great, too! Corn tortillas are so good! There is a very famous and massive ranch in Southern Texas called The King Ranch. Most folks, understandably so, think the King Ranch casserole originated at the famed King Ranch. So, the mysterious origins of this iconic King Ranch Chicken Casserole remain a mystery. But, who really cares. All you need to know is it’s a huge crowd-pleasin’ casserole that just tastes incredible. We absolutely love making this casserole in our large (12-inch) cast iron skillet, but you can absolutely prepare it in a standard 9″x13″ baking dish. 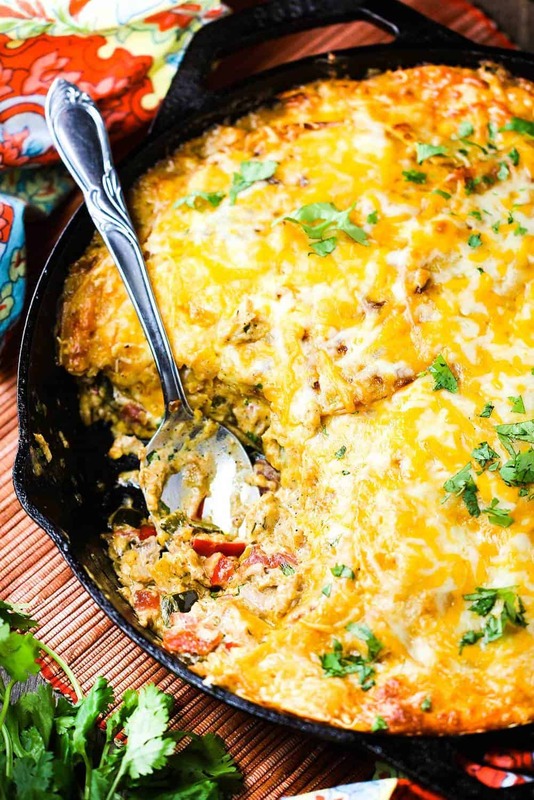 This King Ranch Chicken Casserole feeds a hungry family, no problem. Usually leaving leftovers for lunche and/or dinner the following day or two. The King Ranch Casserole also freezes wonderfully. Simply prepare as instructed, freeze, and then let thaw and cook as directed. Or, bake frozen for an additional 45 minutes. Obviously, we wouldn’t advise freezing this in your cast iron skillet. But you probably figured that out. 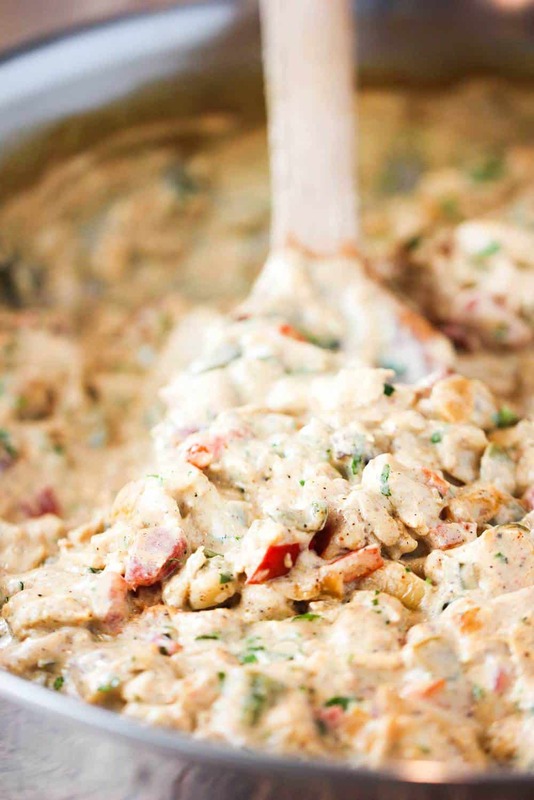 Trust us when we tell you, King Ranch Chicken Casserole is Texas comfort food at it’s best. You and your loved ones will be “yee-hawing” after each scrumptious bite! 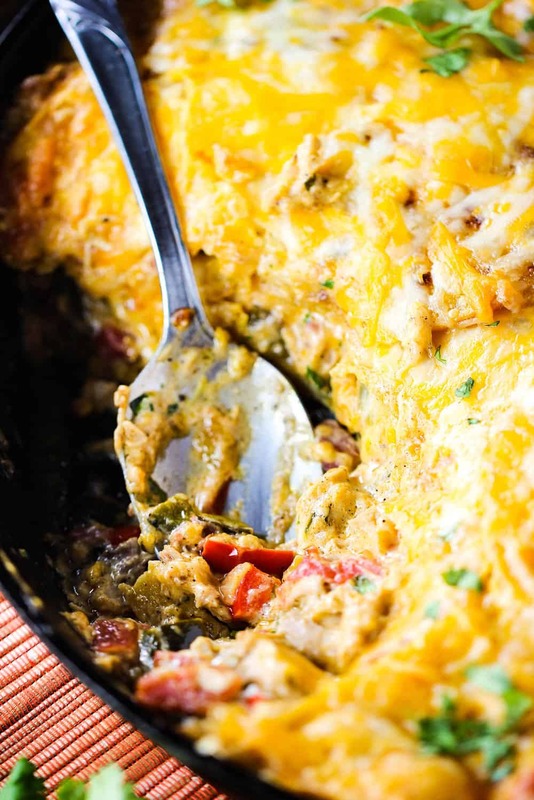 This King Ranch Chicken Casserole is a Southern Texas favorite. This version skips the canned soup mixes and process cheese, and is deep in flavor. This can easily be made in advance. 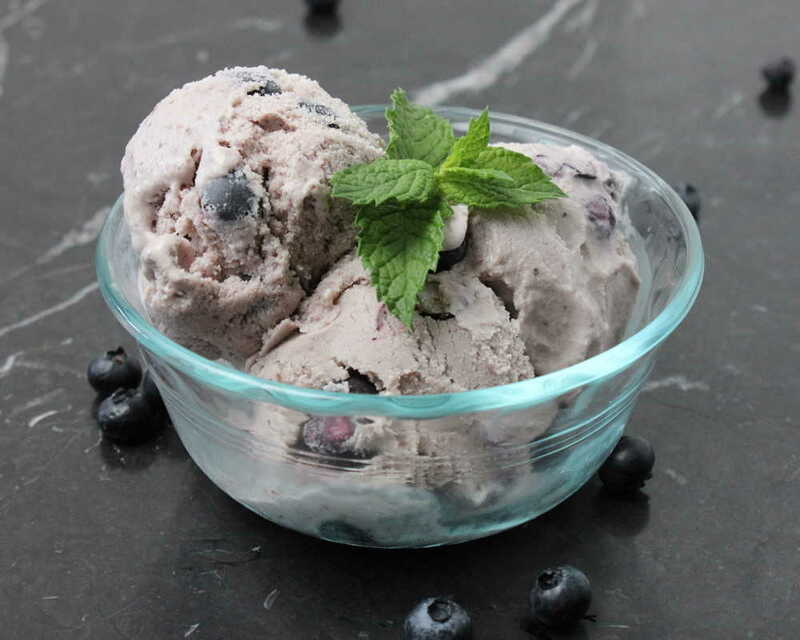 Keep in the fridge for 24 to 48 hours, or freeze for up to 1 month. This is always a huge crowd-pleasing casserole. Rub olive oil all over chicken breasts and then liberally sprinkle with salt and pepper. Bake for 50 to 60 minutes, or until internal temp is 165°F. Using an instant-read thermometer ensures proper doneness. Let cool, then remove skin and then cut meat from the bone and roughly chop. Set aside. Alternatively, removed skin from 2 rotisserie chickens, then remove meat and roughly chop, set aside. Melt the butter over medium-high heat in a large skillet. Add onion, bell peppers, jalapeño and cook for 10 minutes, or until soft and starting to brown. Add the garlic, chili powder, cumin, paprika and 1 & 1/2 tsp of salt and 1/2 tsp of black pepper. Cook for 2 minutes, until fragrant. Sprinkle the flour over the vegetables and cook, stirring often, for 1 minute. Using a whisk, incorporate the stock into the vegetables. Whisking to remove any lumps from the flour. Bring to a boil and cook for about 2 minutes, or until thickened. Mix in the tomatoes, green chilies and sour cream. Remove from the heat. 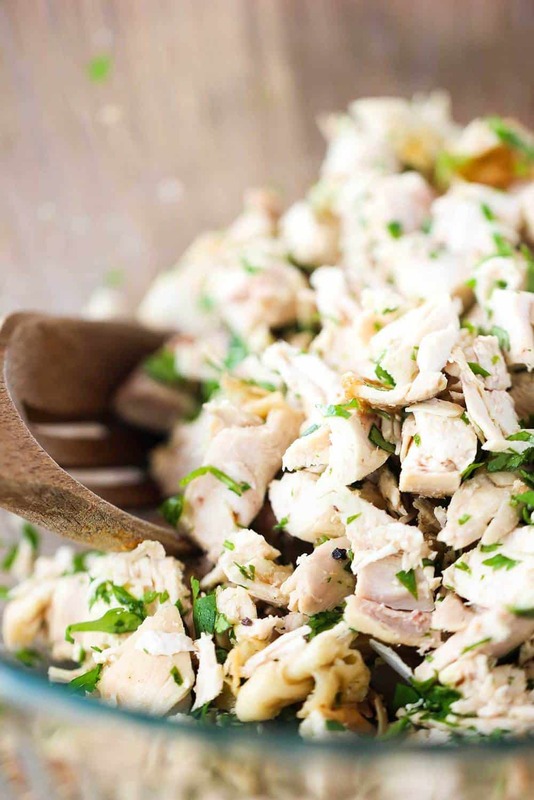 In a separate bowl, stir together the shredded chicken with the cilantro and then add to the vegetable mixture. Add about a tsp of vegetable oil to the skillet and then add a tortilla, and swirl around. Cook until lightly browned on the bottom and starting to crisp. About 1 minute. Flip, and repeat with other side. Repeat wth each tortilla, adding more oil as needed. 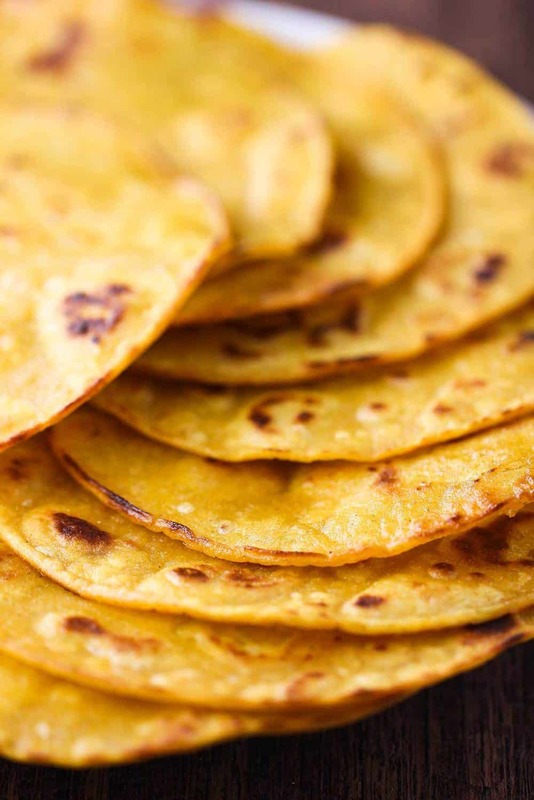 Alternatively, use roughly chopped corn tortilla chips instead of the skillet-fried tortillas. Spray the bottoms and sides of either a large cast iron skillet, or a 9x13 baking dish with cooking spray. Line the bottom of the skillet (or baking dish) with tortillas, slightly overlapping. You can quarter another tortilla to fill the open spaces between the tortillas. Or, if using chopped tortilla chips, line the bottom with a layer of them. Add half of the chicken/veggie mixture and then a third of the cheese. Repeat this process once. Top with remaining tortillas (or chips) and cheese. Remove foil and bake for another 20 minutes, until bubbly and lightly browned on top. Let stand for 10 minutes before slicing. With all the peppers and chilies I thought it would be too spicy but it’s not. Great recipe, I will be cooking it again. Hi Camille!! Woo hoo!! That’s so great to hear! 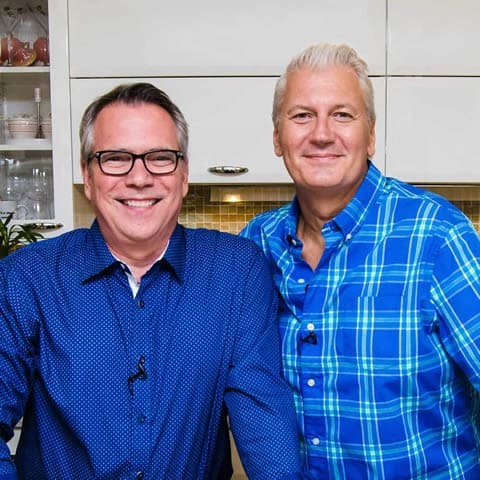 And that’s always a good sign when people want the recipe! And thanks for letting us know!! I know you worked hard at preparing a lot of food, so glad to hear you had success!! Hey! Just made this for dinner last night. We were fighting over left overs for lunch so that should tell you it was a huge hit. I had always prepared it the standard way with mushroom/chicken soup but will never again!